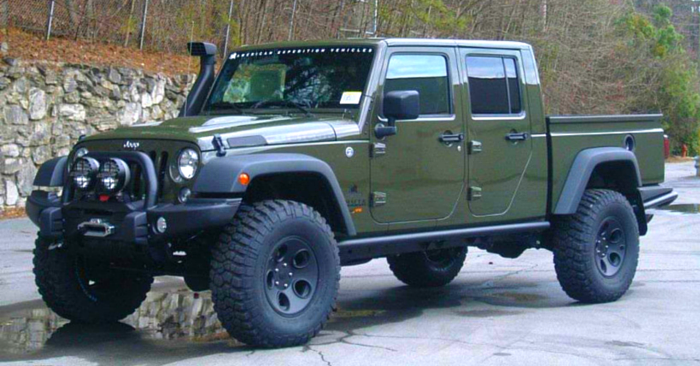 Customizing your car is a great way to add character and express one’s individuality. 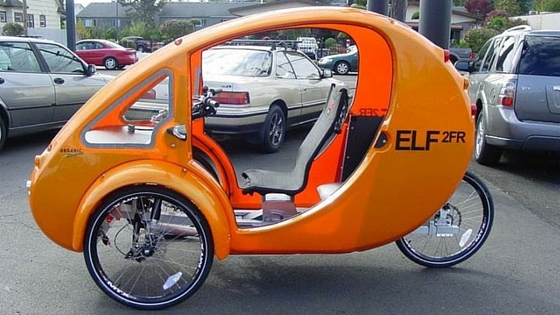 These custom rides in this week’s Weird Stuff Wednesday will definitely display an owner’s uniqueness, because you will likely never see another on the road quite like each of these. This 1932 Ford Custom Street Rod for sale in Grand Rapids, MI., has more muscle than Arnold Schwarzeneggar in his prime. The engine on this classic has been swapped out for a 572 cubic inch HEMI V8. Not enough? Well then two of those exact engines should do the trick. The nickname of this vehicle is “Twice Blown” and it is easy to see why. Each engine puts out 1,250 horsepower for a total power of 2500 ponies at the push of the gas pedal. The technology that all went into this 1932 Ford is just as impressive as the appearance. It has never been raced but that does not mean it can’t. Something tells us you would win as many awards on the track as this already has won off of it. 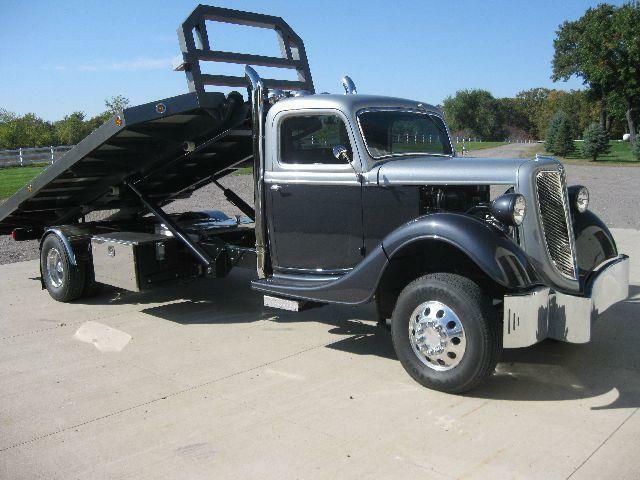 This 1935 Ford Flatbed Car Hauler out of Annadale, MN., took the idea of a classic car with power and took it in a completely different direction. Very rarely do we see a tow truck look quite this nice. If you purchased this classy looking ride, people might call you for a tow just to be seen in driving around town in this beautiful 1935 Ford. From the custom paint job and stunning interior to the retractable steps and Brazilian Cherry decking on the flatbed, this will definitely get people’s attention when they call to get picked up. Well it’s baseball season again and not many vehicles pay tribute to the sport quite like this 2007 Chevrolet Silverado Custom 4×4 available in Scottsbluff, NE. The Major League Baseball logo along with ghosted images of all 30 MLB teams will ensure you are the “Fan of the Game” while tailgating at any stadium. If you’ve ever wanted to take a road trip to all the different stadiums, this Silverado would be perfect for it. 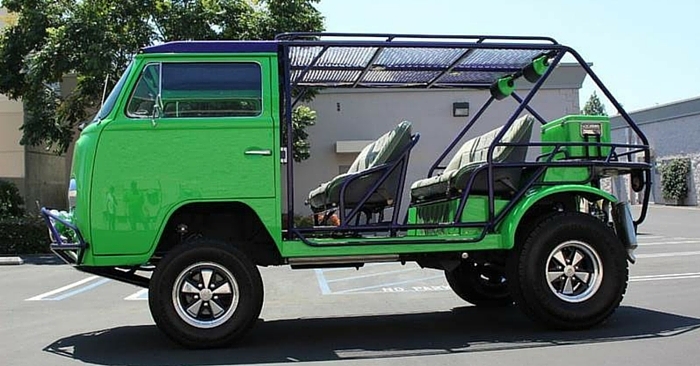 Catch a game in Boston at Fenway and see the Green Monster or swim for a homerun ball season in between stops with all of the TV’s inside this vehicle including a 50’ plasma screen that pops up from the bed of the truck. 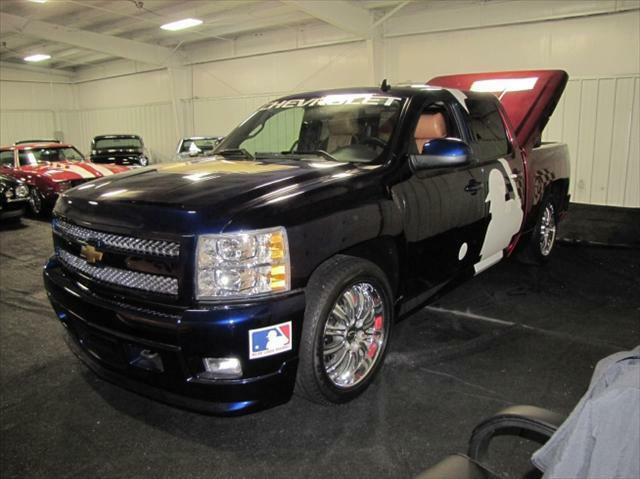 From front tip to rear bumper, this Silverado is perfect for any baseball fan. Even the interior is baseball themed!